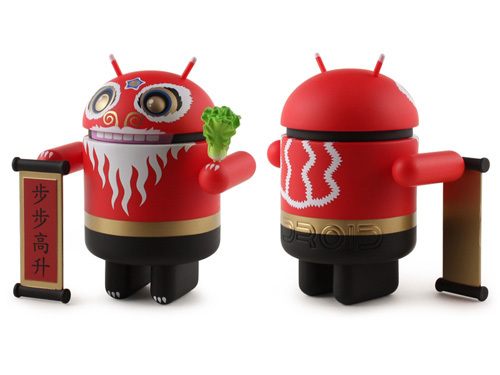 Happy upcoming Lunar New Year! On the Chinese Zodiac this year is the year of the Horse. 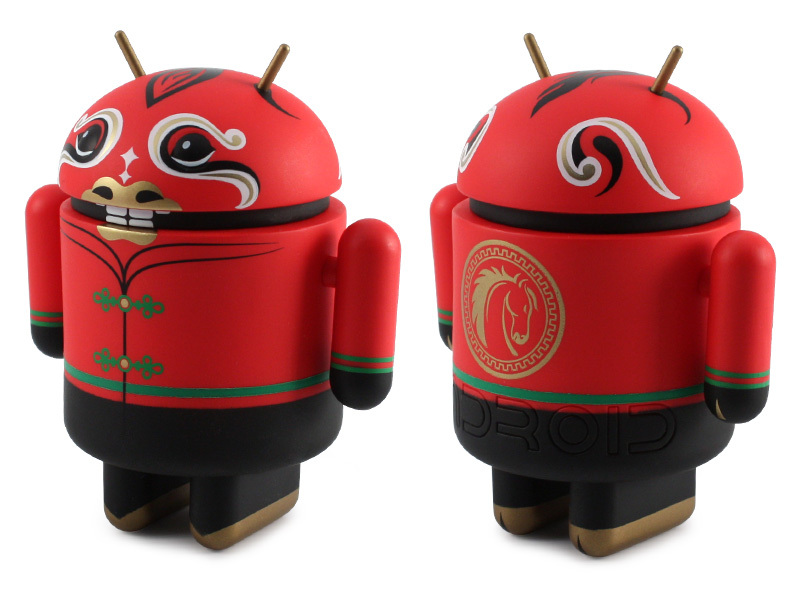 As with past years, our Asian partners have a Special Edition Android to celebrate! 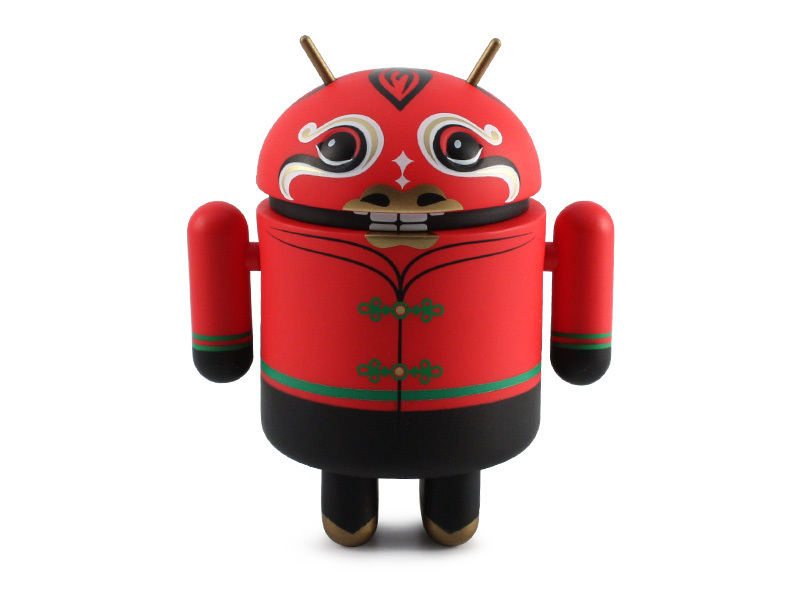 This Android features a stylized horse mask design and traditional Chinese costume. We’ll have a few in stock in the Dead Zebra Shop on Tuesday, January 28th at 11am EST and more at 11pm EST. Limit 2 per household, usual Limited Edition Release rules/suggestions apply! We’ll be running our “add a case” special again, where you can add a single square or hexagonal figure display case to your order for only $3. While supplies last! 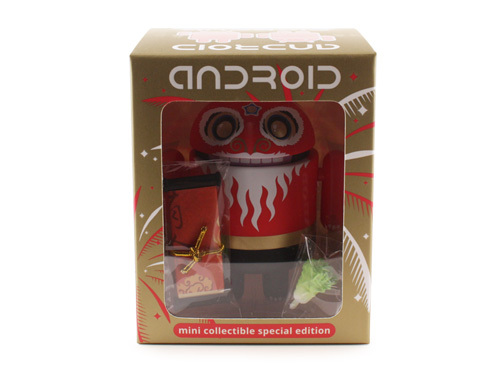 Chinese New Year 2013 Android Mini Collectible! But wait! That’s a.. Lion? Holding salad? No matter the representative animal of the yearly zodiac, you’ll always find a Dancing Lion at any good Chinese New Year festival! While traditionally Chinese, the famous Dancing Lion even spans cultures with Korean and Japanese equivalents. 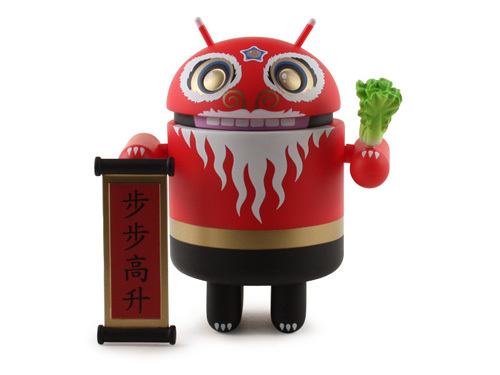 Each Dancing Lion Android includes one of 7 different auspicious scrolls and a head of green lettuce. The scrolls are wrapped, so you don’t know what message you get until you open it up! If you’re not familiar with the traditions, then a couple of guys in a brightly colored furry lion suit lobbing heads of lettuce at you might be a bit alarming.. may we suggest you read more about the tradition of the dancing lion over on Wikipedia? 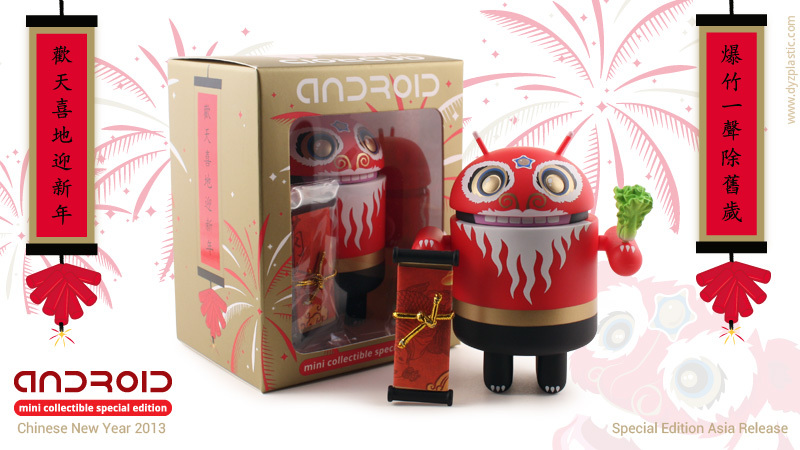 This year’s Special Edition release is once again primarily for our Asian retail partners including HypePulse in China, City Super in Hong Kong, Android Fan store in Taiwan and Droidstore in Singapore. If you are in or near these areas, please check your local retailers for availability. They should be available for sale soon! However, we will have a very limited stock available in the Dead Zebra, Inc shop for $10 (plus shipping). There will be only one release time. These are limited to one per household / card holder / person / etc.. you get the idea! Available in the Dead Zebra Shop starting Thursday, January 24th at 11AM Eastern Standard Time. They will start shipping the week after that. We reserve the right to cancel any orders for any reason. If there is remaining stock after the initial releases we will put them back online for further orders, (unlikely in this case, so get in early)! As usual you might want to brush up on the Limited Edition release FAQ!